The Koratala Siva directorial has Junior NTR and Unni Mukundan in the main roles. Malayalam superstar Mohanlal is all set to make a mark in the Tollywood industry with the upcoming Koratala Siva directorial "Janatha Garage." The movie has been in the news ever since the makers announced its ensemble cast. 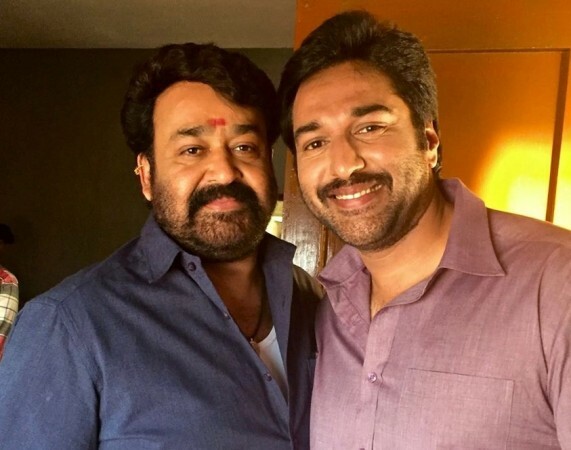 Apart from Mohanlal, Mollywood actors Rahman and Unni Mukundan will also be seen in pivotal roles in the movie, which has Telugu superstar Junior NTR in the lead. While this is Mohanlal's third Telugu project, Rahman has already done more than 15 films in Tollywood. Interestingly, the duo will be seen as brothers in the upcoming movie, that too after 30 years. They were seen as siblings in the Malayalam movies "Kandu Kandarinju," "Koodum Thedi" and "Kariyilakkattu Pole" in the 1980s. Their last movie together was "Rock & Roll", in 1997. "The whole experience took me back to the 80s when I used to act as the younger brother to Mohanlal and Mammootty. Back then, I had less responsibility and could enjoy my shoot because the 'big brothers' would take care of everything. This time I felt the same again, young at heart," Rahman told the Times of India. Meanwhile, this is the first movie of Mohanlal and Unni together, and the "Vikramadithyan" actor will play an antogonist in it. Junior NTR will be seen romancing Samantha Ruth Prabhu and Nithya Menen in the film, which also has Sai Kumar, Brahmaji, Benarjee, Ajay, Sitara, Devayani and Gunaji in the supporting cast.